Fraclet is both an implementation of the Fractal specifications conformed to the level 0.1, and an annotation framework for the Fractal component model. Fraclet is composed of several annotations and plugins to generate automatically various artifacts required by the Fractal component model. Annotations provide a way to describe the component meta-information directly in the source code of the content class. Fraclet plugins generate either Fractal component glue, FractalADL definitions or Monolog configurations. You don't have to worry about out dating deployment meta-data whenever you touch the code. The deployment meta-data is continuously integrated. Working with only one file per component gives you a better overview of what you're doing. If your component consists of several files, it's easy to lose track. If you have ever written an Enterprise Java Bean, you know what we mean. A single EJB can typically consists of 7 or more files. With Fraclet you only maintain one of them, and the rest is generated. You dramatically reduce development time, and can concentrate on business logic, while Fraclet generates 60% of the code for you. Two implementations of the Fraclet annotation framework exist: Fraclet XDoc and Fraclet Annotation. Fraclet XDoc uses the XDoclet generation engine to produce the various artifacts required by the Fractal component model. Fraclet-Annotation uses the Spoon transformation tool to enhance the handwritten program code with the non-functional properties of the component model. This tutorial describes the Fraclet Xdoc implementation. Fraclet uses the XDoclet2 as annotation parser and generation engine. XDoclet2 is the next generation of this technology. Based on Generama, it uses standard template engines such as Velocity and Freemarker for generation of text-oriented output, and Jelly for XML output. The function of XDoclet2 is to seed the generation contexts for these template engines. XDoclet2 is supported by XDoclet2 plugins, which provide task-specific generation functionality. This part describes the features of this XDoclet2 plugin for Fractal, and the way to use them. Some annotations have been defined in order to describe the component meta-information. The list below describes these annotations. @provides Class Annotation to describe a Fractal server interface. @component Class Annotation to describe the controller part of a Fractal component. @data Class Annotation to describe a data used by a Fractal component. @monolog.handler Class Annotation to describe a custom Monolog handler. @attribute Field Annotation to describe an attribute of a Fractal component. @requires Field Annotation to describe a binding of a Fractal component. @control Field Annotation to provide a reflective control to the content of a Fractal component. @logger Field Annotation to define a logger for a Fractal component. @lifecycle Method Annotation to handle the lifecycle in a Fractal component. This class annotation adds the name information to the definition of a Fractal interface. This name is required by the Fractal component model to identify the interfaces required and provided by a Fractal component. This annotation can also override the associated interface signature to introduce interface meta-information at the class level. This class annotation allows the developer to describe the description of the controller part that should be associated to the content part of the Fractal component. 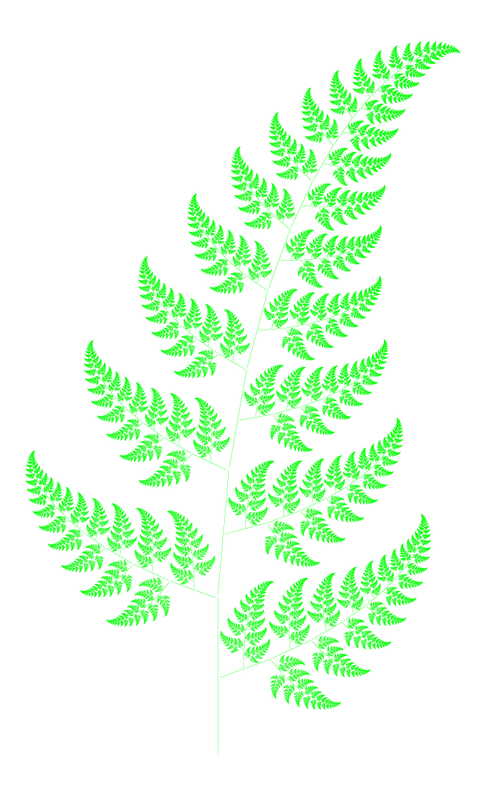 This class annotation provides a way to define a data used by a Fractal component. This class annotation allows the developer to describe a Monolog handler specific to the Fractal component. The available annotation attributes support the various properties that can be defined in a Monolog configuration file. This field annotation describes a Fractal attribute. A Fractal attribute is a Java attribute whose value can be configured and introspected from the Fractal component. Fractal attributes are managed by the attribute control feature of the Fractal component model. protected int counter; // field should be declared as protected or public. This field annotation describes a Fractal binding. A Fractal binding is a Java attribute representing a client interface. Fractal bindings are managed by the binding control feature of the Fractal component model. This field annotation provides a way to refer a control interface provided by the controller part of the associated Fractal component. protected NameController nc; // field should be declared as protected or public. This field annotation provides a way to define a Monolog logger to log the execution of the Fractal component. protected Logger log; // field should be declared as protected or public. # with a monolog logger or not (which is the default case). # with a monolog logger. This method annotation provides a way to define a lifecycle handler supported by the controller part of the associated Fractal component. AttributeControllerPlugin - Plugin to generate the AttributeController interface of a Fractal component. PrimitiveComponentPlugin AttributeControllerPlugin Plugin to generate the component glue class of a Fractal component. PrimitiveDefinitionPlugin - Plugin to generate the FractalADL definition associated to the Fractal component. CompositeDefinitionPlugin PrimitiveDefinitionPlugin Plugin to generate the FractalADL assembly definition containing the Fractal component. MonologConfigurationPlugin - Plugin to generate the Monolog configuration file associated to the Fractal components. Generates the <CLASS>Attributes interface associated to a <CLASS> class if it defines at least an attribute using the @attribute annotation. Generates the Fc<CLASS> class associated to a <CLASS> class. class if it defines either a @attribute, @requires, @control or/and @logger annotation. Generates the <CLASS>.fractal definition associated to a <CLASS> class (or interface). Generates the <CLASS>Composite.fractal definition associated to a <CLASS> class if it defines at least a @requires annotation. Generates the monolog.properties configuration file for the Monolog tool. This section provides a quick overview of the benefits of Fraclet. It shows that using annotations, Fractal source code becomes more concise and easier to maintain. It shows that using Fractlet, more than 60% of the source code (Java, FractalADL, properties) can be saved. The figure below introduces the well-known HelloWorld example implemented with Fractal components. The Client class defines the Runnable interface as a Fractal interface using the @provides annotation. The attribute s is annoted as a client interface (using @requires), which will be named s as no name parameter is defined. The attribute message is annoted as a Fractal attribute (using @attribute), which will be automatically initialized to "Hello !". The Service interface is annoted with @provides to define the name of the Fractal interface as s.
The Server class inherits automatically from the Service annotations. The header and the counter attributes are defined as Fractal attributes (using @attribute), whose initial value will be defined when the component will be created. This definition creates a composite component HelloWorld extending the generated Client abstract definition. Then it specifies that the definition of the component named s is Server and that the values of the header and the counter attributes are >> and 2, respectively. The following piece of XML presents the compilation process enhanced with the Fractal plugins. CVS repository: you can checkout Fraclet XDoc from the Fractal CVS repository by specifying fraclet-xdoc as module name. Download: you can download Fraclet XDoc archives from the Fractal GForge interface.